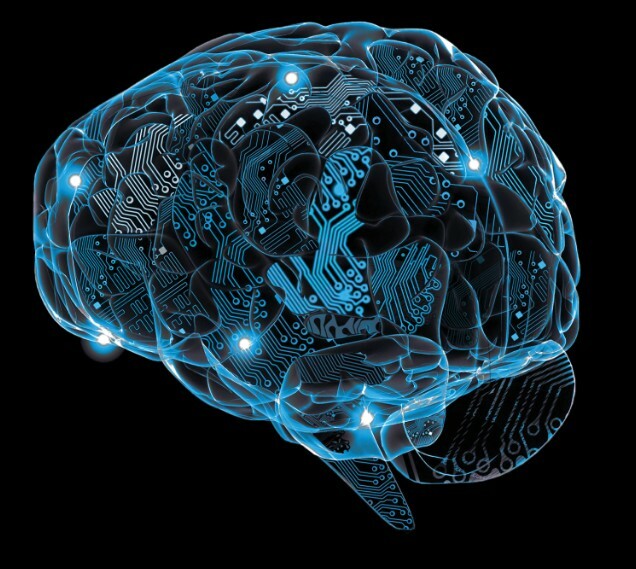 NeuroInformatics.NL is the place where Dutch neuroinformaticians meet, collaborate, promote results, and share data. Submit your own news item. Join us at the Neuroinformatics congress 2019 in Warsaw Poland, September 1-2. Abstract submission will open early in 2019. 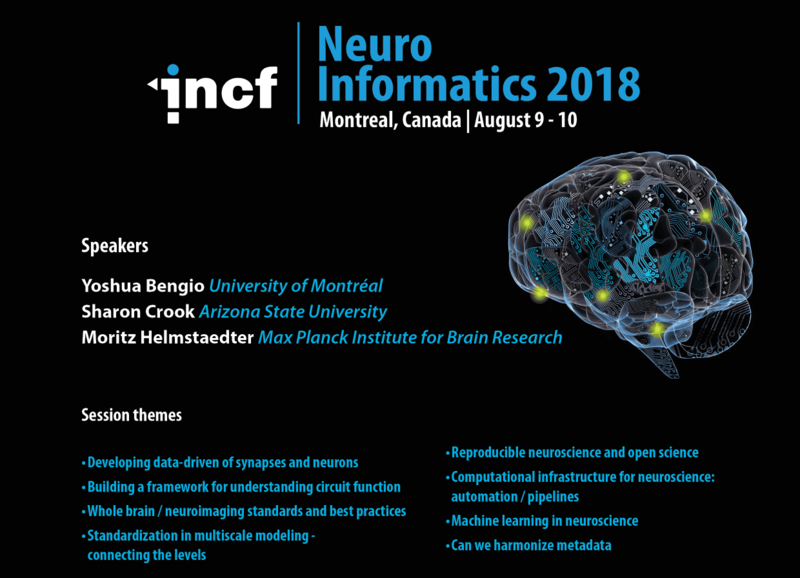 Join us at the Neuroinformatics congress 2018 in Montreal Canada, August 9-10. Abstract submission has opened, deadline April 30th. 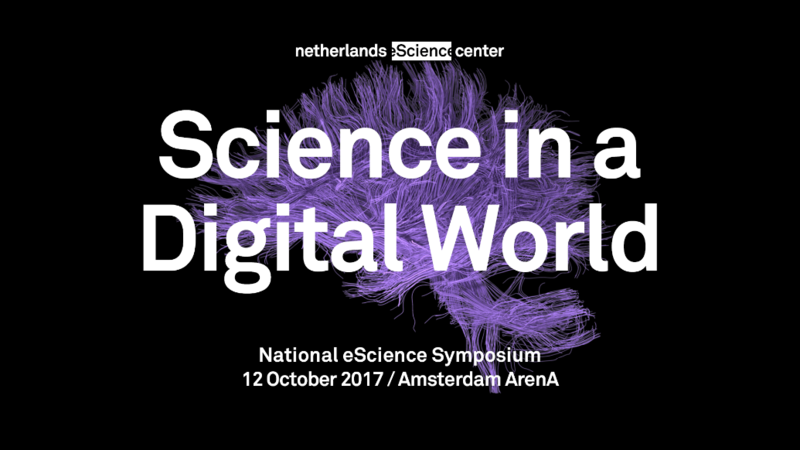 This year's eScience symposium "Science in a Digital World" (October 12, Amsterdam ArenA) is of particular interest to neuroinformatics researchers, because it contains a parallel track on Brain, Cognition and Behavior. The day starts with a thought-provoking plenary lecture of Cecilia Aragon (University of Washington): "The Hearts and Minds of Data Science". In the Brain, Cognition and Behavior track, moderated by Paul Tiesinga, the program continues with contributions from Andre Marquand, Rainer Goebel, Wiro Niessen, Martin Vinck, Niina Lapinlampi and Wim Otte. With Malaysia having joint as a new neuroinformatics node in 2015, it gets the honours to organize this year's Congress. It is held in the capital Kuala Lumpur, "where the old meets the new in a charming combination." As usual the dates are near the end of the summer break: August 20-21, 2017. This gives you the ability to get prepared for Malaysia's tropical climate! The BeNeRL workshop welcomes novel research, work in progress, and more general 'open problems' in Reinforcement Learning (RL) in Belgium and The Netherlands. For example, what are the current bottlenecks, why does not everybody use RL, what are the main practical and theoretical obstacles? Live demos are also highly appreciated. Most brain diseases have multifactorial underlying causes of small-effect size and often result in a large variability in the patient group. Therefore, individuals with a brain disease will benefit from personalized health care. The aim of personalized health care is to improve the accuracy of diagnosis, prognosis and treatment based on personal qualitative and quantitative traits. Recent technological advancements, such as genetic profiling, brain scans and smart wearable devices that yield large and complex data sets, allow novel ways of measuring and monitoring patients, but remain underutilized. During this symposium we will discuss how these technologies can be integrated and used for personalized health care. Business and science will meet to see if these technologies can be applied to achieve predictive value that is beyond the existing diagnostic and prognostic testing methods. A joint INCF-OECD workshop "Promoting data sharing in dementia research" will be held 20 – 21 September 2015 in Stockholm, Sweden. The aim of this workshop is to bring together policy-makers, funders, and leading scientists to consider the barriers to data sharing in relation to dementia research and to begin to identify practical steps that can be taken to advance data sharing in this field. XNAT is an open source web-based system to manage neuroimaging and related study data. Data providers can upload data (from local files or from a PAC system) into XNAT, and share it with collaborators with various access levels. XNAT is actively developed as part of the Human Connectome Project, and is widely used in research centers that process MRI data.